Our products are delivered electronically. All the prices are quoted in US Dollars. When you place an online order, your credit card information is sent directly to the credit card processor via a secure (SSL) channel so that no one can intercept your personal data. To go to the secure order page, click on the hyper link next to the product name. All major credit cards are accepted. When filling in the form, please be sure to enter your correct personal information, license type, and quantity. 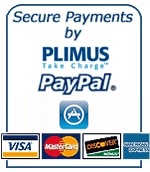 We use PayPal and Plimus payment processing registration services. To place a secure, online order using a credit card, please click the "link" below. Once your credit card is accepted, you will be led to download a full version of our products. @ Copyright kaisatec.com All Rights Reserved.